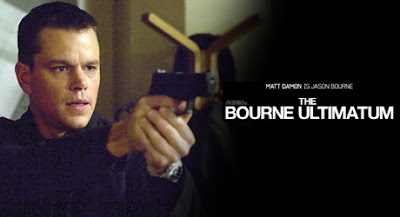 My new review of The Bourne Ultimatum is up. Click on the picture, or click here. To see the review banner I made for Ultimatum, please go to my main page. Also check out this interesting Q&A with Eric Lichtenfeld, author of "Action Speaks Louder: Violence, Spectacle and the American Action Movie", which the Outlaw Vern claims to be the first serious study on Hollywood action movies.